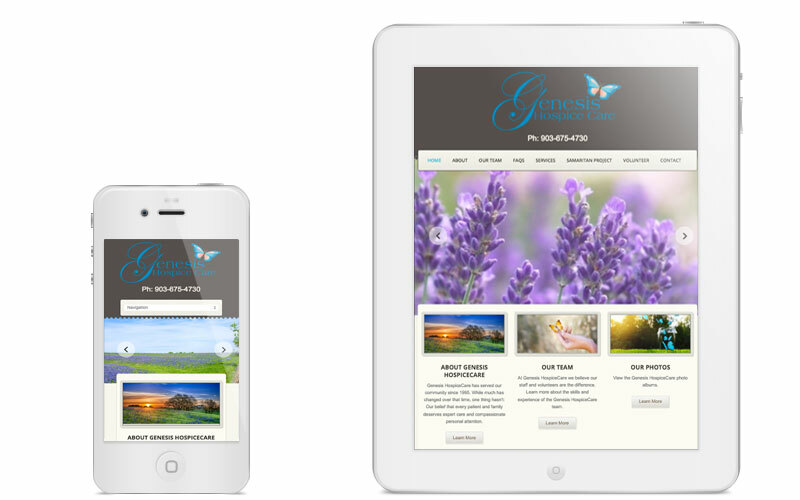 Genesis HospiceCare reached out to Clever Mutt to create two new websites for Genesis HospiceCare and Genesis ExtraCare - two distinct but related brands. 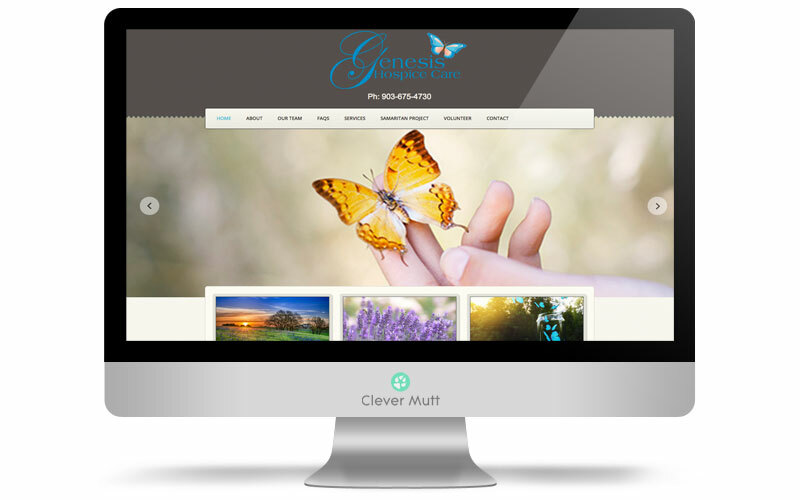 The new Genesis HospiceCare website is powered by the Clever Mutt Portal custom web content management system and includes mobile responsive design, articles, frequently asked questions, galleries, photo albums and more. 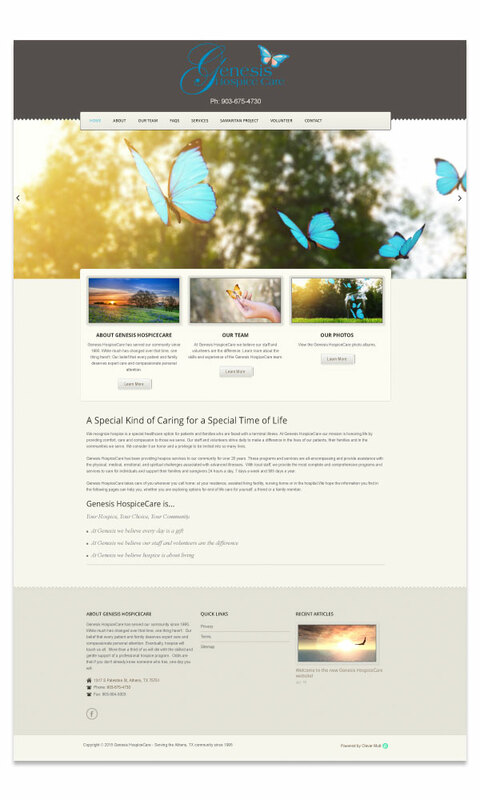 Genesis HospiceCare has been providing hospice services to their community for over 20 years. Their programs and services are all-encompassing and provide assistance with the physical, medical, emotional, and spiritual challenges associated with advanced illnesses. With local staff, they provide the most complete and comprehensive programs and services to care for individuals and support their families and caregivers 24 hours a day, 7 days a week and 365 days a year.